This course is also suitable for supervisors, managers and CDM co-coordinators within the construction industry who are required to ensure that activities under their control are undertaken safely. Safety, health and environmental practitioners who wish to formalize their experience and progress their career with a professional qualification would also benefit from this qualification. A Health and Safety Management module (NGC1) precedes the NEBOSH Certificate in Construction Health and Safety (NCC1). 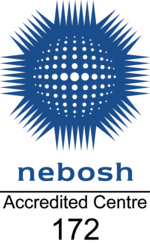 Candidates who have completed the management module (NGC1) within the previous five years can go on to complete units 2 and 3 (NCC1 and NCC2) of the NEBOSH Certificate in Construction Health and Safety as part of their study. There are a number of delivery modes for this qualification, please see a member of our sales team for details. As an established course provider, GCS Training has a team of experienced tutors, excellent teaching facilities at our premises in Fforestfach and a high standard of teaching materials and resources.